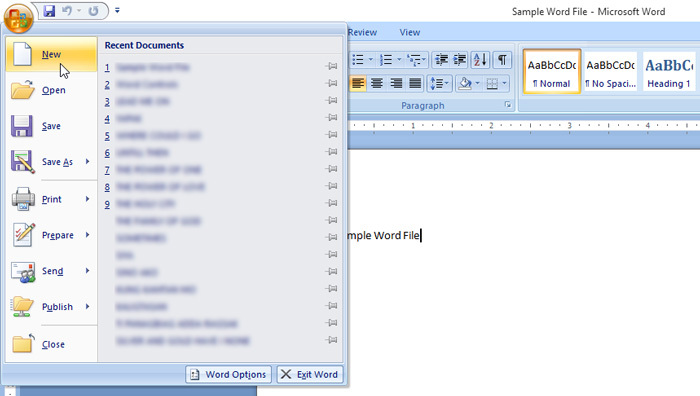 Now that you already familiarize the basic parts of Microsoft Word, it’s time to start creating your document. When you create a document, the first thing to do is to save it even you don’t have any data entered in the document. It’s a good practice to save first before start typing something, although MS Word today has an auto save function that you can easily recover the document that you are working when suddenly close, it is better if you have already named your document file and save it to your desired location. Ok to create a Word Document, it’s like any Office program if you already use like Excel and PowerPoint. We will use two versions of MS Word, 2007 and 2010. 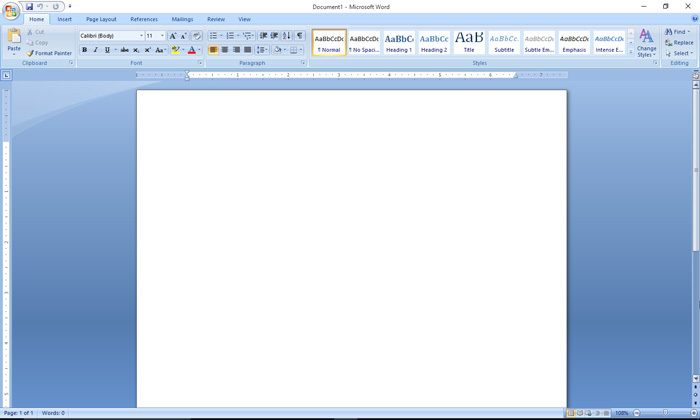 Basically, when you open the MS Word program, it will take you to a blank document where you can start creating your document right away. 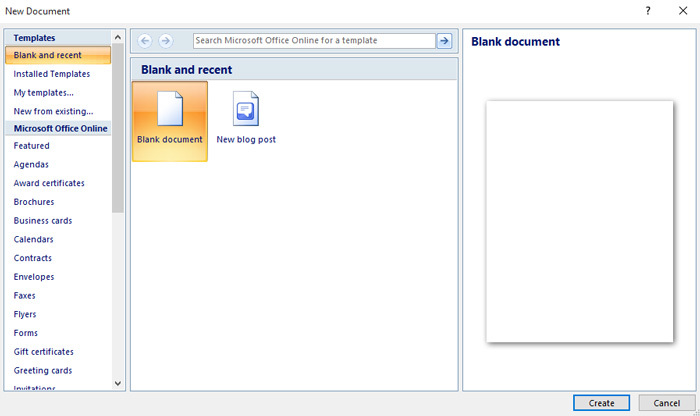 But, if you already in a save document and you want to create a new blank, click the Office button and select “New”. 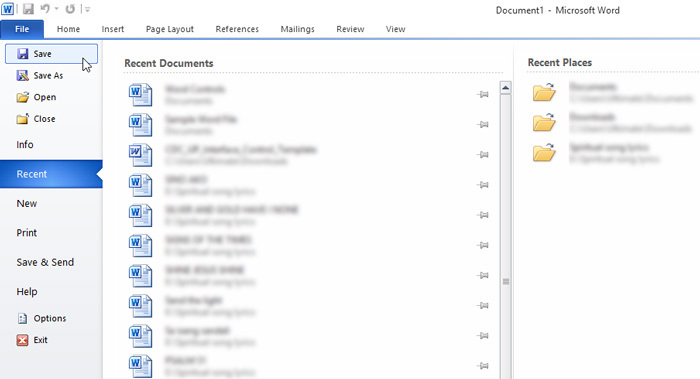 On the New Document pop up window select the Blank Document and hit “Create” button. 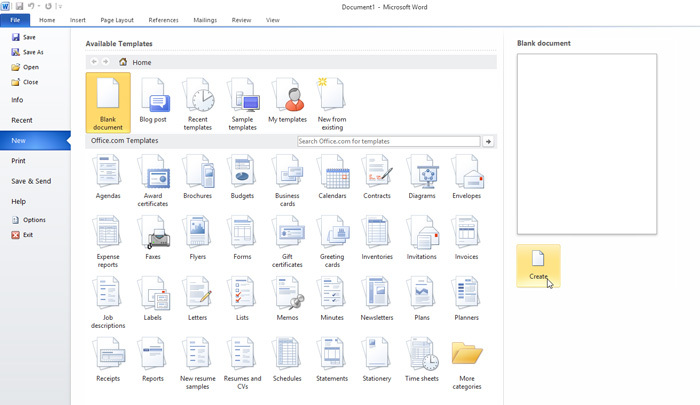 To create a new blank document in MS Word 2010, click the File menu, then select New. When you save a word document, for the first time it will ask you to enter the filename and choose the location where you want to save the file. 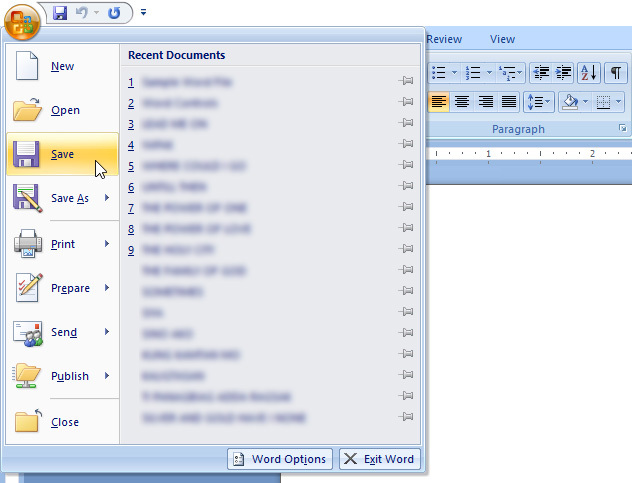 You can save a document by going to the Office button if you’re using Word 2007 and selecting “Save”. A “Save As” pop up window will appear, select the location where your file to be saved, by default it will save to your Documents then enter the Filename of the document and hit save. 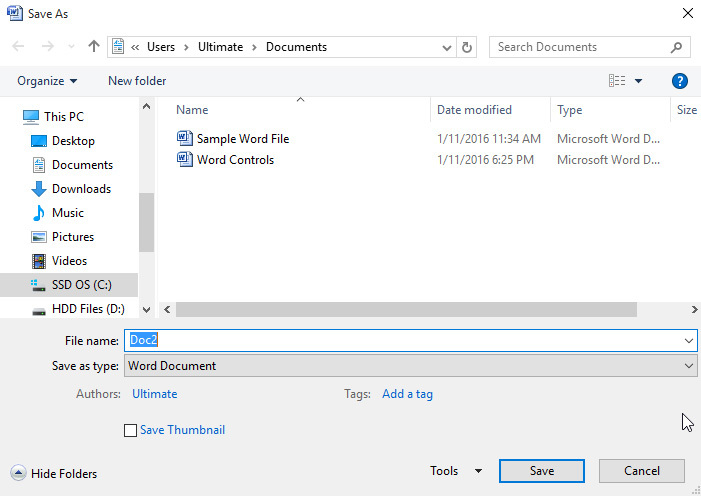 The same Save As menu will pop up when you’re using MS Word 2007 and 2010 where you can enter the document filename and select where you want to save. You can use a keyboard shortcut when creating and saving word document, (CTRL+N for creating new document and CTRL+S to save the document) but as a newbie its better to familiarize first where is the control.